You can see my 2014 year in review here and the goals I set for 2015 here. I was quite ambitious when setting goals for 2015. In fact, I wrote "2015 will be the year I eliminate my hobby backlog and achieve all of my painting projects. I'll play more games than ever. I'll paint 28mm models too. 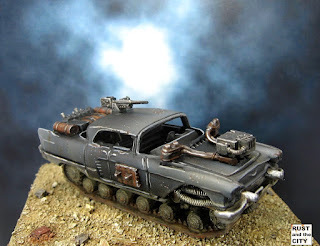 Well, one can dream..."
Mad Max diorama for Attack-X. First off, a general overview of the year (click on the links to see each project). 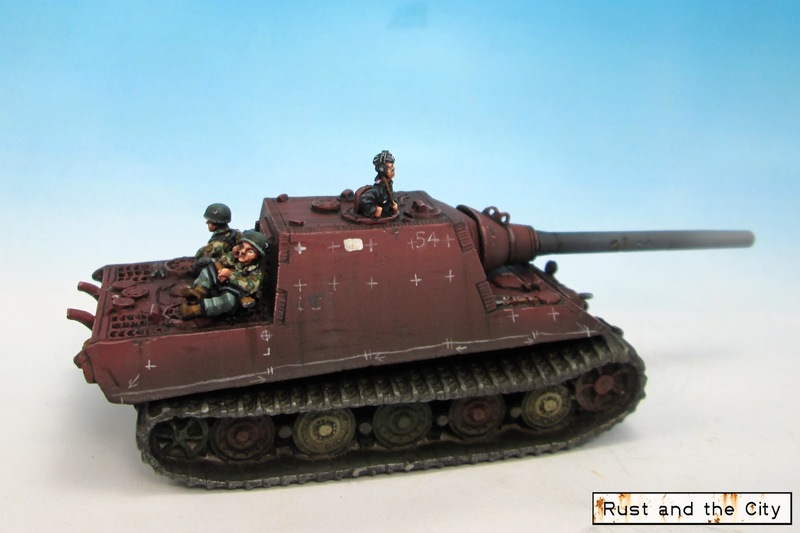 I started the year with a fun Jagdtiger commission. 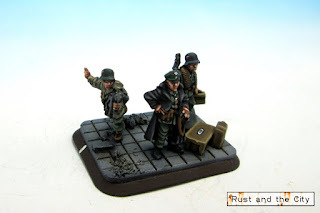 I then started working on completing a Panzergrenadier company for Gottacon in March. I completed it just in time (although short some half-tracks). 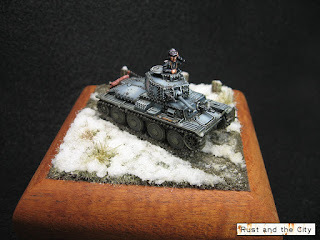 In the summer I travelled for a bit and worked on some different display pieces for a painting contest at Attack-X (Mad Max car and a Panzer 38t). 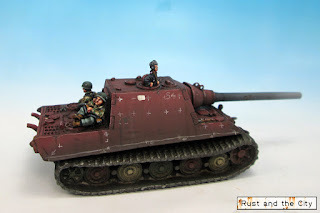 I also completed a large German commission. 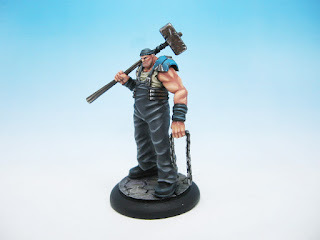 After a demo game at Attack-X I then spent the next few months painting a Ramos crew for Malifaux. November saw the start of the global Firestorm: Caen campaign that is being hosted here. The last part of the year has been spend working on a Hungarian commission. 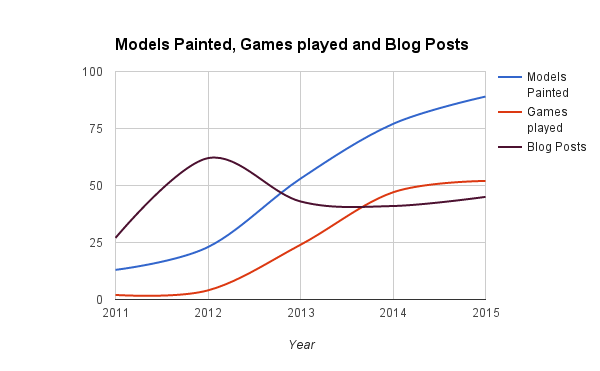 In total, I painted 89 models and played 52 games in three systems in 2015. Yeah, that didn't happen... I think I have at least as many unpainted FoW tanks as I had at the start of the year. Well, I almost averaged 4 posts per month with 45 posts in total. I had a lull in the summer months again and fell below my target. I did post something in every month though. I completed this one! 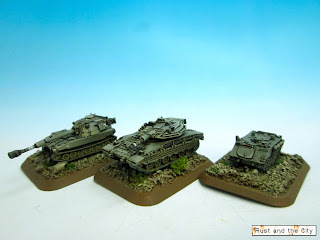 I painted 3 Israeli vehicles in 6mm. I painted a random gretchen, a Mad Max car, and a bunch of Malifaux models. Part of my Ramos crew. No progress here either. I traded away a British infantry platoon so the pile is smaller... I did play the British in a few games in the Firestorm: Caen campaign. I did complete this. Sadly, I just realized while writing this that I haven't photographed any of the half-tracks yet. I'll take a picture of the company and add it here. 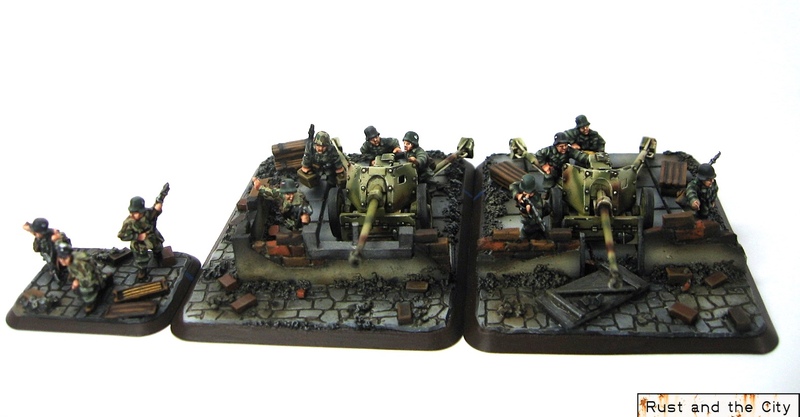 I have a complete 1900 point Panzer Lehr Panzergrenadier company. Some of the many Panzergrenadiers I painted this year. The 1iC is my favorite infantry figure in the Battlefront range. Nope, did not do this. Hey, I did achieve this one! 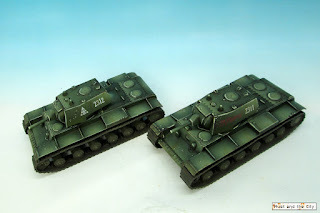 For Flames of War I particpated in Gottacon, the Kelowna tournament, and Attack-X. I even played in a local X-wing tournament in Kelowna. In total, I played 52 games between X-wing, Malifaux, and Flames of War. Game against Shane from Gottacon. Well, in total I completed only 3 out of my 7 goals. Sadly, this seems to be largely due to "New Shiny Syndrome". Overall, the year again was a success on the hobby front. Like 2014, I ended up playing more games and in more systems than ever before. I painted more models than in any other year. As well as painting more models, I feel that I pushed myself to improve by branching out and painting in different scales and in different scales. Here another way of looking at yearly progress. 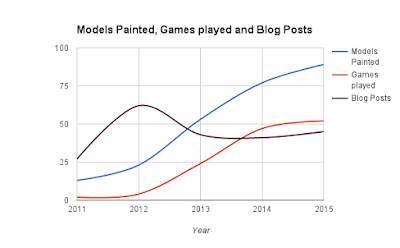 I made a quick Google Sheets graph of hobby measured in three ways over the last five years. Blog posts is a bit of an outlier. In the early days of the blog I posted lots of work in progress posts. Now I try to only post finished models or tutorials. The growth won't continue forever. Ideally, I think I will settle on averaging about a game per week (this can be made easier by finding more locals to play with). My painted models total might decrease next year as I work on more display pieces and less army sized projects. Hopefully blog posts will continue around 4 per month. 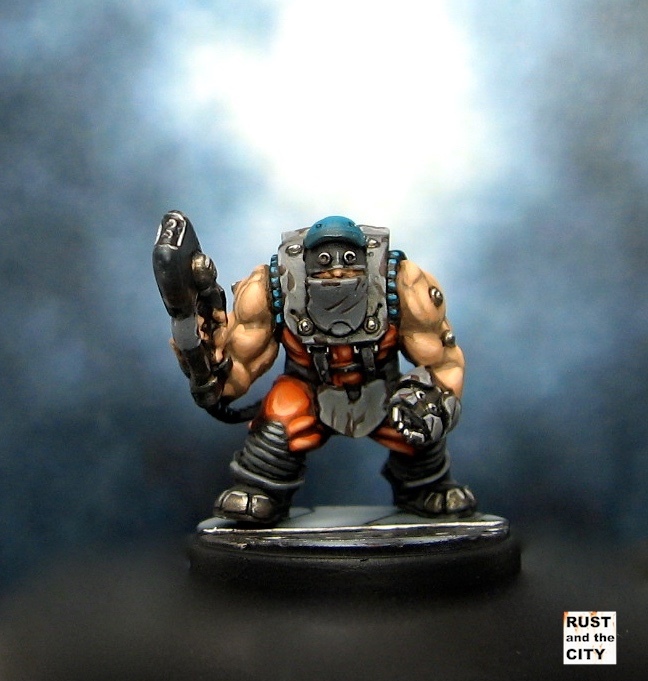 How did you do for your hobby goals for 2015? Sound off in the comments below! A great year. I'm always impressed by your Flames of War bases... just gorgeous. Happy New Year! Thanks Michael. I definitely put a lot of time and thought into my flames of war bases. 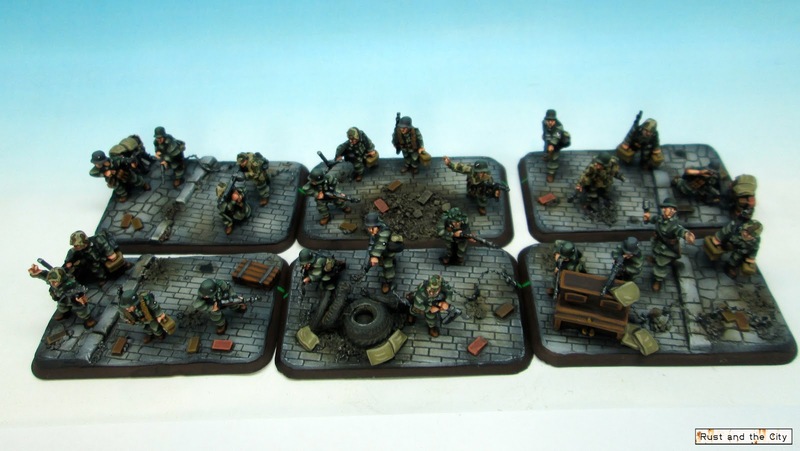 The infantry are so small that the base tells a lot of the story. The urban bases are a lot of work though! 25% success apparently. I managed to keep a paint log. Missed my target number of games, finishing partial project, and painting both sides to play a game. Boo. It's tough to complete them all. I think priorities change through a year. I know in January I had no idea I would get back into x-wing and start painting Malifaux models. Not typically one to make goals cos I know too well of my butterfly hobby attention span... but I think I willike try some out this year. The 6MMRPC challenge has helped me be a little more centered. You got a lot done and to a standard I can only dream of emulating mate. I think it's been a good year in rust city. Thanks Dai. I'm interested to see your goals. You got a lot painted with great diversity thus year. I'd like to add some more diversity to my painted models too. 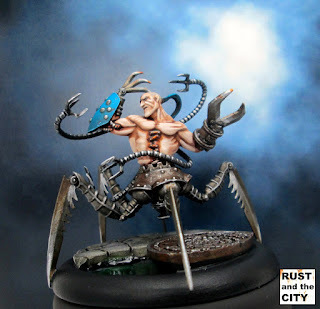 Awesome stuff and great paint jobs and detail too! 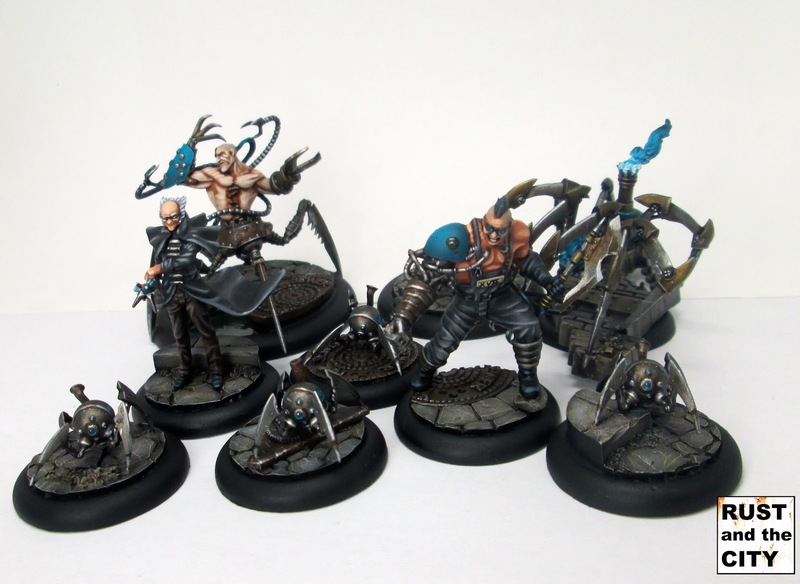 I actually just started Malifaux myself (no games played yet) but I really liked your inserts for your Ramos crew (That's my crew!) Are those homemade inserts for the bases or were they purchased off a site or something? Either way, it's motivating so thank you!